Lingerie to buy + lingerie to sew! 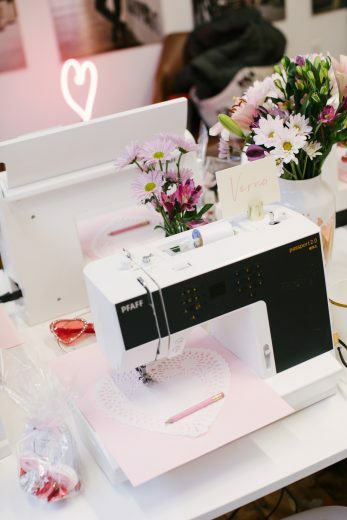 Can't sew but love Madalynne's DIY kits? Get it custom made for you! Madalynne's overarching vision is to provide women with well fitting intimates that support more than just your shape. From a blush pink bralette to a cheeky underwear, intimates that "lift" your personal style. At the same time, intimates worth baring. Bringing something unique to the maker scene— that’s Madalynne's bra making workshops. In 1 day, learn to make a bra from start to finish. From running the sewing machine to which stitches to use, Maddie walks students through each step so everyone makes a special lingerie piece. Let your creativity shine with Madalynne's DIY lingerie kits. Avoid the headache of finding all those little odds and ends needed to make a bra, bralette, or underwear. Get everything you need for your next DIY lingerie project in Madalynne's exclusive "intimate box". Enter your name and email to receive details about new custom and DIY lingerie, tutorials, freebies, exclusive discounts and more, delivered directly to your inbox. Foam bra cups can add so many things to a bra – provide a nice shape and add support, comfort and coverage. I started offering DIY lingerie kits for the Madalynne X Simplicity 8436 and 8624, and today, I am showing you how to draft the foam bra cups that you see in the product photos…. Hi! My name is Maddie and I have a serious love affair with lace and lingerie. I am a 30 year old lingerie designer and sewing teacher, a Simplicity Pattern licensee, and a brand ambassador for PFAFF sewing machine. On most days, you'll find me in my studio, located in Philadelphia, designing my next collection or teaching women how to make a perfectly fitted bra. If you want a special experience, with one-on-one instruction and beautiful materials, a bra making workshop with Maddie is for you. The day is also full of unexpected surprises--for my session, a curated cheese board for the class snack, as well as a generous gift bag to take home. The session itself is full of detailed instruction by the master herself. Also met some wonderful people from across the country who came in for the workshop. Time and money well spent. Absolutely dreamy day from beginning to end. Maddie's class was SO fun, even for a MAJOR beginner. I took one intro sewing class 6 months before Maddie's class so I was definitely nervous. But Maddie was extremely informative and attentive to the needs of all the attendee's sewing levels. It seems that the experienced sewers learning a lot about technique and refined their skills with Maddie's guidance. While less (or no) experienced sewers (like me!) got more hands on help with basics. Jane Doe - Lauren G.
I took a bra making workshop with Maddie, and it was so great! It was (obviously) a challenging product to make. -but she walked us through it one step at a time - I finished the workshop with a well fitting usable bra and better understanding and appreciation of what goes into constructing our bras! 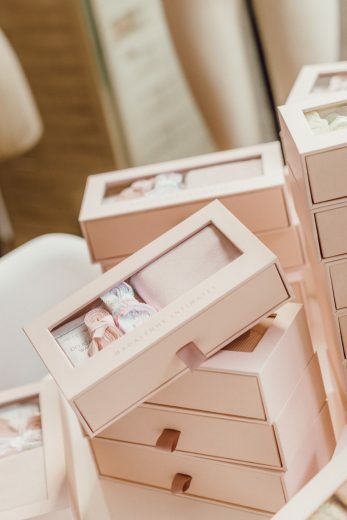 I couldn't ask for more, but Maddie surprised us with more - the whole day was beautifully created, we had a fantastic lunch, an industry guest stopped by to explain bra fitting, and we left with goodie bags just like a party. Thank you Maddie for the fantastic day! I would do it again, and anyone who has read my review this far...I recommend you go sign up for a workshop and experience the wonderment yourself.